Even if you aren’t a Target shopper, the company’s recent card account hack affects you. As the giant retailer deals with the fallout from a major data breach that stole card data from 40 million accounts in its system, consumer advocates are warning that the Target hack points up major flaws in card security across the country. The data swipe happened on Black Friday – the annual post Thanksgiving retail-athon that puts millions of credit and debit cards to work nationwide. 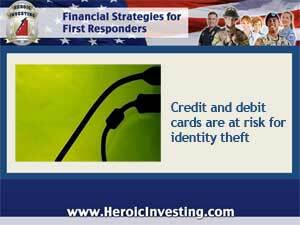 It involved cards from a variety of issuers – banks, credit unions and other institutions – and included data such as customer names, card numbers, expiration dates and security codes. That information can be used to make purchases on the account or to generate bogus cards. According to the Consumer Financial Protection Bureau, Target may have been partially responsible for the problem. Although no one knows yet exactly how the data hack happened, or who was responsible, security professionals believe that the hackers were able to get access to point-of-sale data – the information read from a card swiped through a card reader upon checkout – -and were able to intercept it on its way to Target’s databases. The problem points up a basic flaw in how card data is managed, say security experts. Not all retailers use sophisticated encryption technology, and it’s all too easy for hackers to collect data from unsecured point of sale terminals and credit card readers. That suggests, say representatives of the CFPB and other digital security experts, that Target may not have taken enough steps to protect information carried on cards—including encryption measures. And although Target began notifying affected customers fairly quickly, it didn’t announce the incident until several days after it occurred. Card issuers, including major banks Bank of America, JP Morgan Chase and numerous regional banks and credit union, moved to assure customers that their accounts were protected. Measures included limiting ATM withdrawals and imposing purchase limits on cards involved in the incident. But those measures aside, representatives of the CFPB remind consumers that it’s largely their own responsibility to ensure the safety of their accounts. They advise cardholders – whether they’ve shopped at Target or not – to carefully monitor all receipts and account activity, and report discrepancies to card issuers. If there’s any suspicion of a breach, experts advise getting a replacement card and changing PINs and passwords immediately. Changing passwords frequently is a good idea even if there’s no question of a break-in – and it’s wise to choose passwords that aren’t obvious or commonplace. Are You Ready for a Digital Wallet?